October 19, 2011 - Airports Council International - North America’s (ACI-NA) Commissioners’ Committee accepted the Scholarship Review Committee's recommendation to award scholarships of $2,500 each to two aviation students, at the ACI-NA Commissioners’ Committee meeting in San Diego, California. Recipients include Cameron McGillicuddy, a student at Western Michigan University’s College of Aviation in Battle Creek, Michigan and Andrew Roybal, a student at the University of North Dakota in Grand Forks, North Dakota. “The Commissioners’ Committee is proud to honor these students for their academic excellence and leadership,” said Jim Trout, Chair of ACI-NA’s Commissioners’ Committee and Commissioner of the Flathead Municipal Airport Authority. The Commissioners’ Committee Scholarship is designed to encourage and promote excellence in the educational areas necessary for effective airport management or operation. The ACI-NA Commissioners’ Committee has awarded more than 40 scholarships totaling $120,000 to students within the past 18 years. ACI-NA Commissioners established the Scholarship Fund in October 1993 to recognize students with high academic achievement who are working toward a career in airport management or airport operations. The scholarship program recognizes the importance of the highly specialized education necessary for an individual to receive to fill the extremely complex and multi-disciplined role of being a professional airport administrator or airport operator. Cameron McGillicuddy attends Western Michigan’s College of Aviation and is pursuing a Bachelor’s of Science in Aviation Science and Administration, as well as a Minor in Communications. McGillicuddy interns at Kalamazoo/Battle Creek International Airport and has helped with the airport’s harmonization effort as they transferred terminals earlier this year. He has also volunteered with Air Traffic Controllers at Gerald R. Ford International Airport. McGillicuddy’s ultimate career goals include, being in a challenging aviation position where he can make a difference and remain involved beyond the requirements of a nine-to-five position. Andrew Roybal is a student at the University of North Dakota where he is pursuing a combined B.B.A. / M.B.A. degree in Airport Management. Roybal aspires to one day manage a major airport and is barreling full steam ahead towards that goal. He is a native of Denver, Colorado and is very interested in working at Denver International Airport, citing its uniqueness in airport size and ownership structure as a great challenge and opportunity for an aspiring airport director. Airports Council International - North America represents local, regional and state governing bodies that own and operate commercial airports in the United States and Canada. 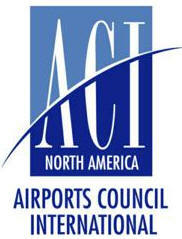 ACI-NA member airports enplane more than 95 percent of the domestic and virtually all the international airline passenger and cargo traffic in North America. More than 350 aviation-related businesses are also members of the association, which is the largest of the five worldwide regions of Airports Council International.